Looking for a specific journal title? If you are looking for an article in a specific scholarly journal (see example below), visit our eJournals full-text finder to check for specific full-text availability across our databases. Schuur, E. A. G., et al. "Climate change and the permafrost carbon feedback." Nature 520.7546 (2015): 171-179. This article is in the journal Nature. Visiting eJournals and searching "nature" will show you all the databases with full-text access, by date range, to this title. This guide provides links to the library's Databases, including databases the Library subscribes to in order to meet students' and faculty's research needs. The resources in this guide are arranged by title in alphabetical order. Use the A to Z tabs above to locate the database you wish to use. If you do not know the title of the database you wish to access, please use one of the subject or class guides. You will find links to our subject and class guides in the boxes to the right. An individual database can cover a wide range of subject areas, or it can be subject focused. Stonehill subscribes to a number of article databases, such as JStor, Academic Search Premier, SciFinder, and Project Muse, that can help you find resources for your research. 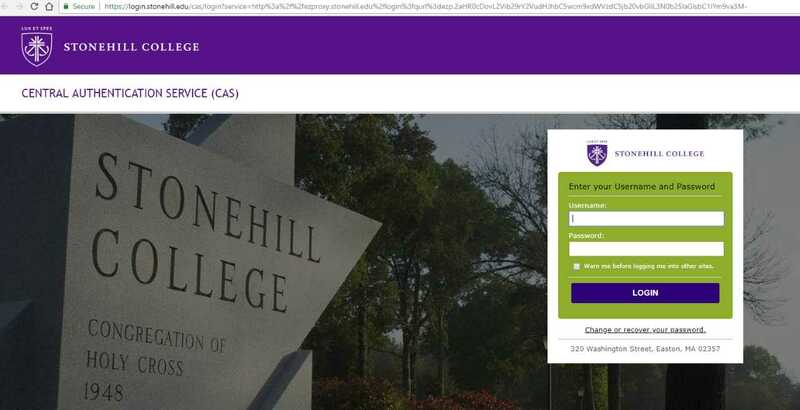 Before placing an Interlibrary Loan request, use the “Search Stonehill Catalog” and “Check E-Journals” links to make sure the article is not available in the Library. Journal articles may also be available in paper or microform. To locate print journals the Library owns, search HillSearch. Information about searching HillSearch for journal titles is available on the Library website. If the item is not available in the Library, then you can use Interlibrary Loan to request an electronic copy from another institution. If you have a citation for an article and would like to know if the library has access to the publication, search by the journal title using HillSearch. If you have questions about locating particular databases, or finding resources within a database, remember that the Reference librarians are here to help! You can reach us via email at librarydeskstaff@stonehill.edu, by phone at 508.565.1313, in person at The Desk. You can also find Course Guides that have been created to help you find the resources you need for specific classes are also listed. If you do not find the course guide you are looking for, ask a reference librarian for help. In addition to the above, Citation Guides, Faculty Guides, How-To Guides and Guides created for Offices and Organizations can also be accessed on the LibGuides homepage. Off-campus access to most of the library's databases is available. In order to use these resources from home, you will need to log in using your MyHill credentials - your username and password. If you need assistance please contact the The Desk at 508-565-1313. LibGuide for the NEW RefWorks You can read annotate, organize, and cite your research as well as collaborate with friends and colleagues by sharing collections.